3d Street Art is designed to create emotion. Usually its a positive one but for this particular campaign we wanted to create disgust. 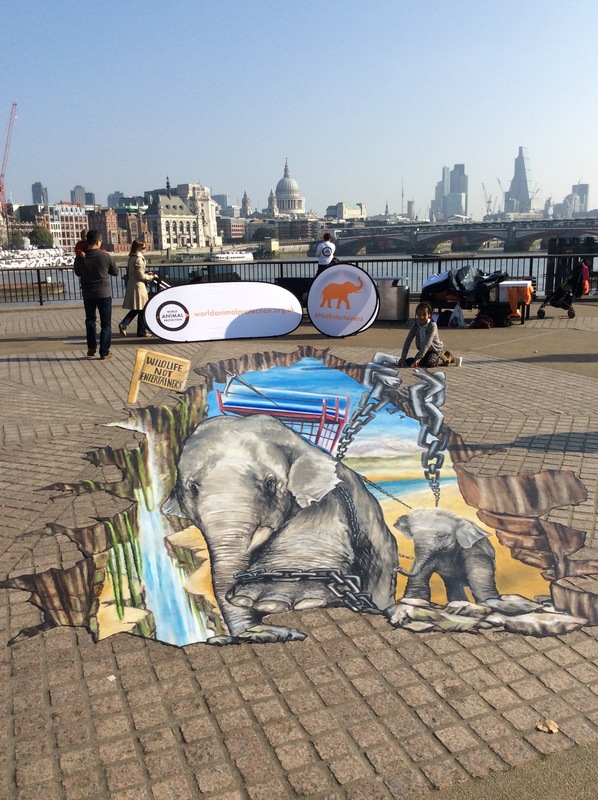 The World Animal Protection Group commissioned Street Advertising Services to create a large piece of 3d pavement art that would highlight the suffering of elephants used to give rides to tourists in foreign countries. The artwork was showcased in London and very quicky went viral. Over 1.5m people engaged with the artwork online and thousands signed WAP's petition forcing companies such as Thomas Cook to listen to the groups concerns over the cruel treatment to elephants used as tourist attractions in Thailand and other countries.